2955 Ueno Higashi-machi, Iga-shi, Mie Pref. Remind: No visitors parking lot. 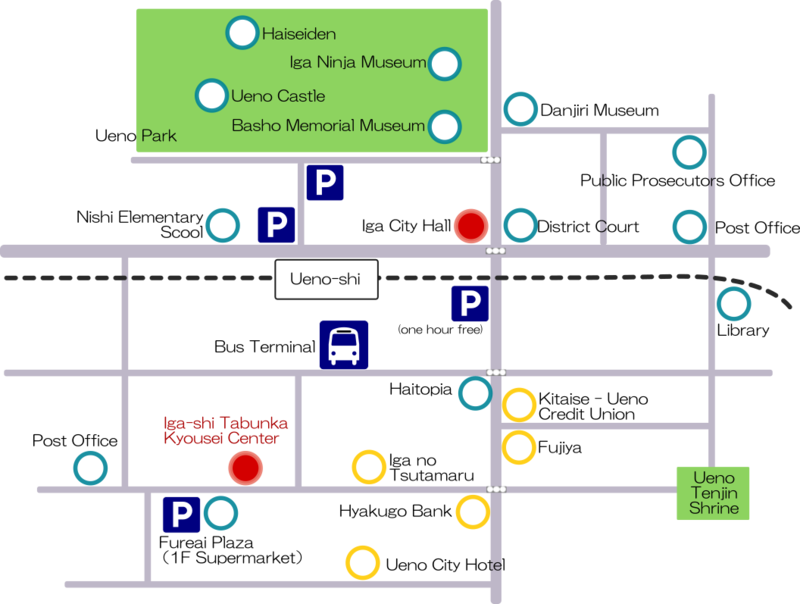 It is available to park in Fureai-Plaza, Haitopia or the city hall.